For all my Mac using friends out there, I wanted to let you know about a great bundle of FREE software that will only be available for a few more days. There’s a ton of bundles out there, but this one included one in particular that I thought could be fun for Youth Ministry. 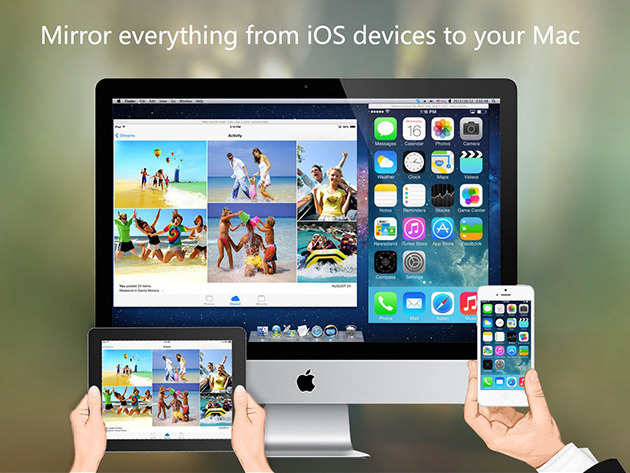 It’s called X-Mirage and it lets you mirror your iOS screen (iPhone or iPad) to your Mac. This is great if you want to make demo videos of an app to share, but I think it has great potential for a youth group stage game. Since it will let you mirror multiple iOS devices at one time you could have two students playing the same game up on the big screen and the crowd could cheer them. So many fun possibilities, post your ideas in the comments below. Elmedia Player Pro – a utility to help download streaming video from the internet. A great way to save those youtube videos to use in a talk or in your presentation software. The bundle is free, so what do you have to loose. Have fun!